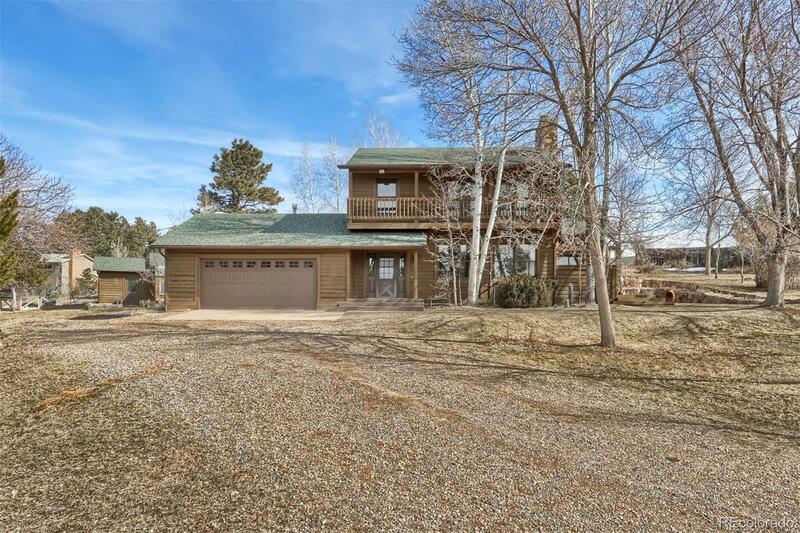 This home is located on a beautiful 2.2 acre lot with gorgeous, mature, towering pines. The property features include an out building with storage, workshop and greenhouse, a chicken coop, a 5,000 sq ft fenced and irrigated garden area, an intimate fire pit area as well as a large deck off of the kitchen and living area to enjoy your morning coffee. This 4 bedroom, 3 bath home is spacious with large living areas. The bathrooms have been updated, and you will find extensive wood floors throughout the main. This home is waiting for you to add your personal touch. There is no HOA, Dawson Well and Douglas County! !